For fast gloss, look to McKee’s 37! 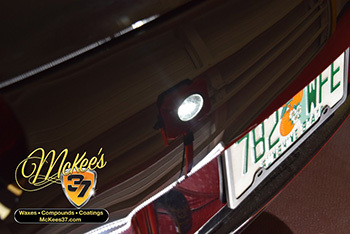 The McKee’s Fast Gloss Combo combines the proven cutting power of McKee’s 37 FC-717 Swirl Remover with the smooth finish of McKee’s 37 Fast Polish, providing you with a silky smooth paint finish with every application. This highly effective combo takes any guesswork out of choosing the right products for eliminating unsightly swirls marks without instilling more damage. The McKee’s Fast Gloss Combo Leaves paint smooth, shiny , and ready for your favorite wax or sealant! McKee's 37 FC-717 Swirl Remover is the most aggressive swirl remover in the McKee's 37 line, yet it's not a heavy compound. Applied with your dual action or rotary polisher, this swirl remover is designed to correct paint flaws by gradual smoothing - not grinding down - the paint. Typically, compounds leave more problems than you started with and it takes several more steps to restore smoothness and gloss. 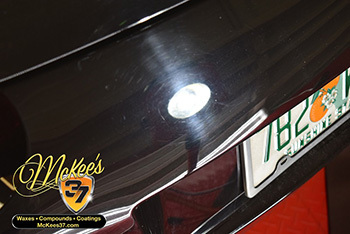 McKee's 37 FC-717 Swirl Remover takes a less invasive approach to preserve the paint while it corrects the finish. Before: This vehicle's paint is hazy and plagued with swirl marks! After: Swirl marks, scratches and water spots are removed by FC-717 Swirl Remover! McKee's 37 is dedicated to preserving your vehicle and the environment. McKee's 37 Fast Compound and Fast Polish is VOC compliant, body shop safe, silicone-free, and clear coat safe. A total retail value of $52.96. Save $10.97! Great products! 5 Performed with the ease and quality I expected. After using on a black Hood with fine to medium scratches, all the imperfections disappeared and left me with a better than showroom finish. It was very easy to apply with an orbital polisher. Pros:Easy. Little went a long way. Cons:Price is a bit high for nonprofessional use but well worth it considering the result. Five Stars 5 Great products, excellent results, highly recommend. Fast Gloss Combo 5 Worked perfectly in removing light scratches and swirl marks! 10/10 for these to products! Pros:Easy to apply, easy to wipe off!